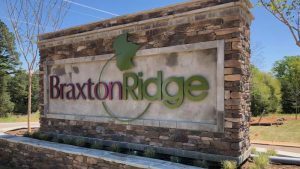 Braxton Ridge welcomes you home to Simpsonville, SC. This custom home community encourages the southern hospitality and values that have gotten Simpsonville recognized as one of the 10 Best Towns by Family Circle Magazine and one of the 25 Best Affordable Towns by Money Magazine. Acadia was carefully planned with over 300 acres of woodland along the Saluda River. Acadia offers lots for cottages, manors, and estate homes; as well as village shops, offices, condominiums, townhomes, and more.